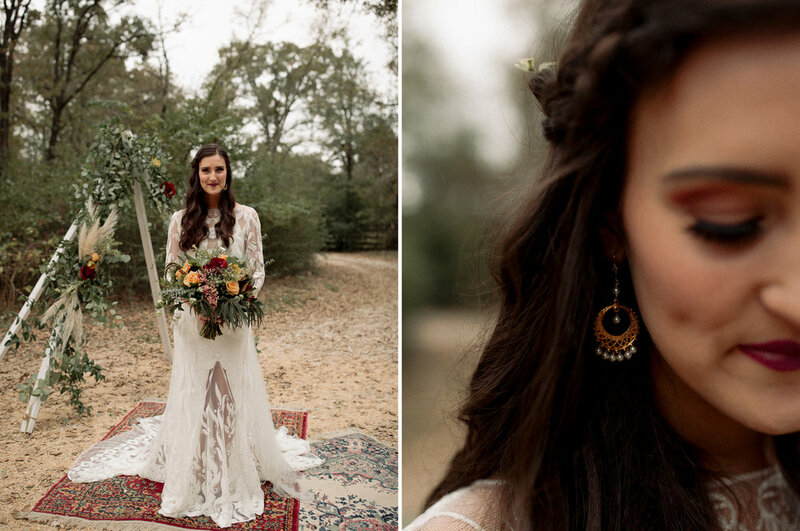 My first ever styled shoot. DREAMS. Intimate. Burgundy & Mustard Gold. Farm-to-Table Dinner. 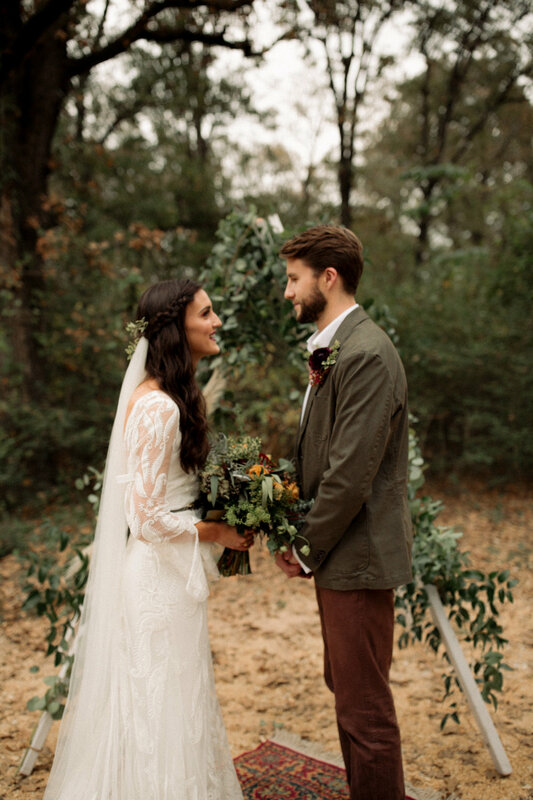 A white A-Frame Arbor covered in greenery + orchids + burgundy peonies + pampas grass was the perfect backdrop in the forest. 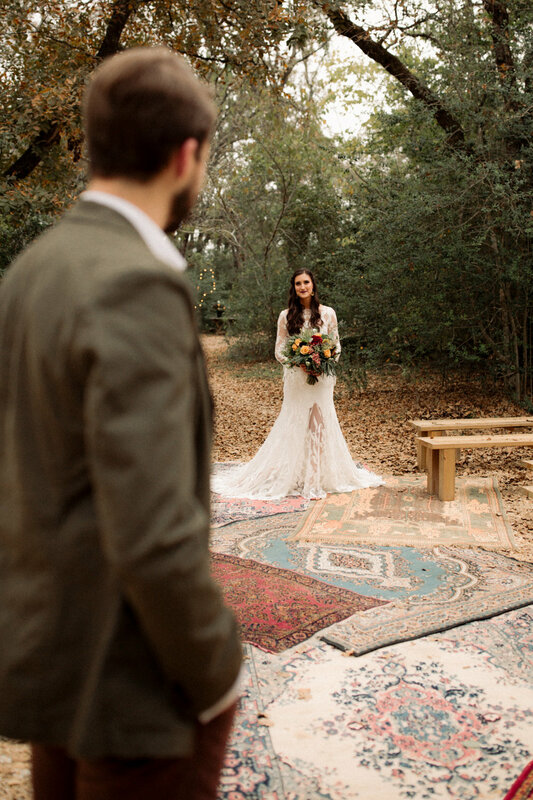 Antique rugs were the way to go for a cozy + intimate aisle vibe, almost like an outdoor living room. 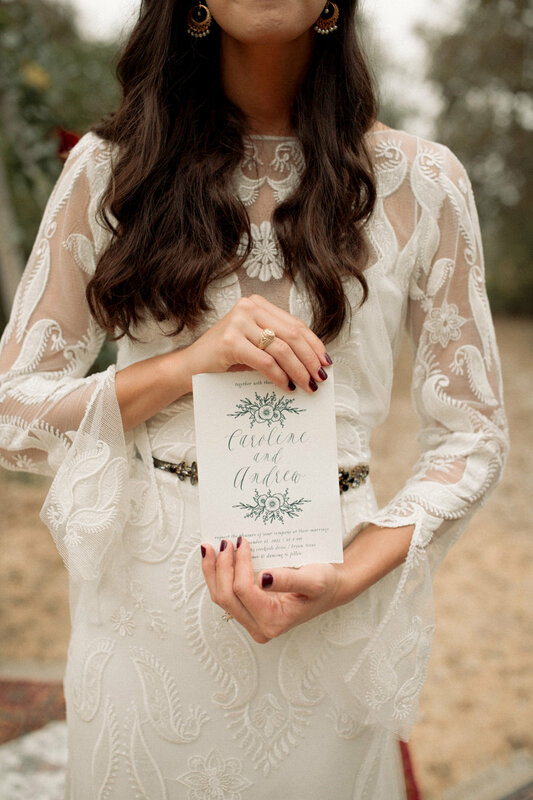 The gown felt glamorously laid-back, so we kept the makeup minimal + bold. 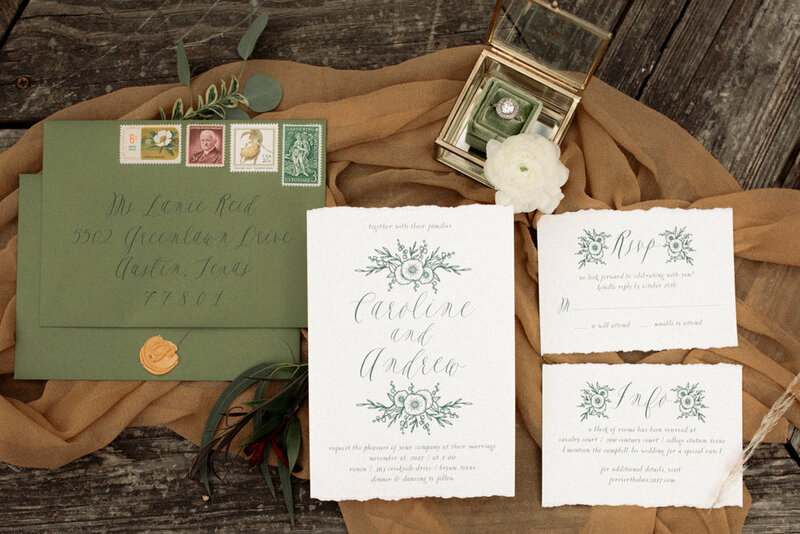 The cherry on top is the pine green invitation suite + antique stamps, which pulled off the whole 'intimate & in love = getting married in a lush forest' vibe! It was so important for us to have a stunning reception space, because receptions are just as important as the ceremony spot! 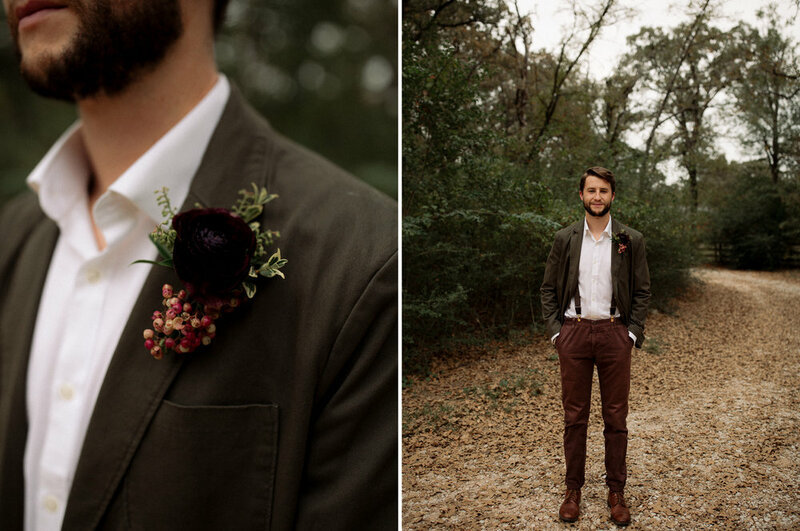 A lush + vibrant garland decked out in burgundy, gold, and texture florals & bordered by dramatic taper candles. Matte plates & clear glassware were the perfect compliment to the cafe string lights and candle light warming up the table. a.k.a. my dream tablescape! Finish dinner under the stars with the minimal + modern cake styled with soft textured florals. 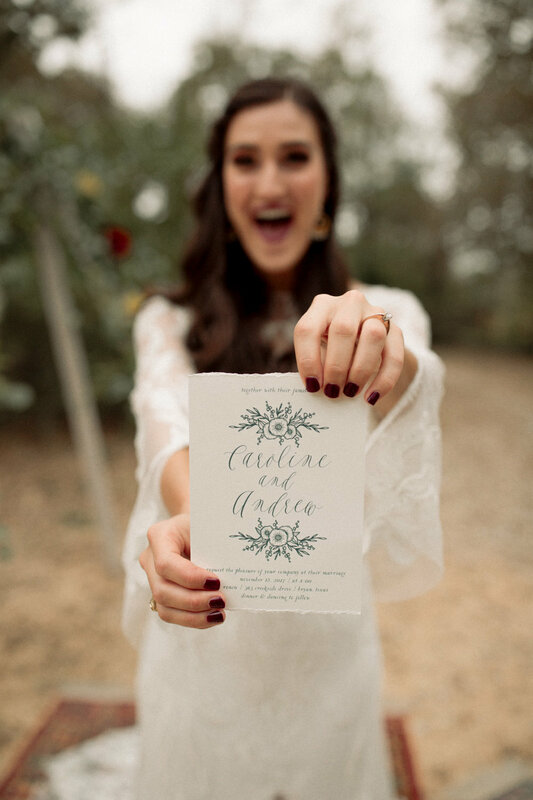 Imagine having the first dance under the moonlight in a forest!